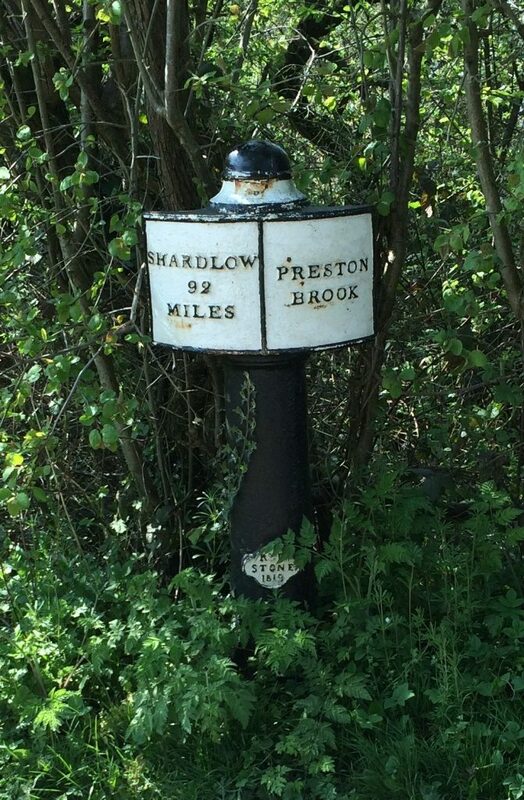 Unusually, this milepost isn’t visible from the canal nowadays, as Preston Brook Tunnel was extended, making the junction with the Bridgewater canal now inside the tunnel. 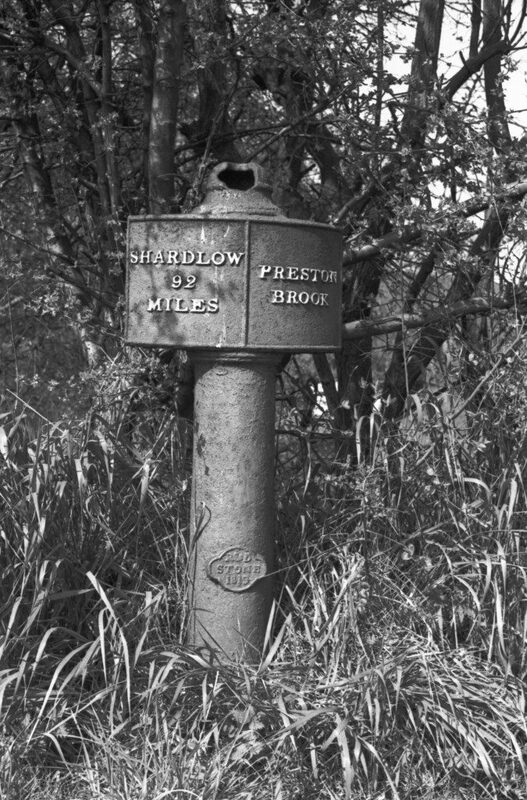 The milepost is beside the horse-path over the tunnel (nowadays a minor road) and it is on the roadside around 10 yards from the tunnel entrance. 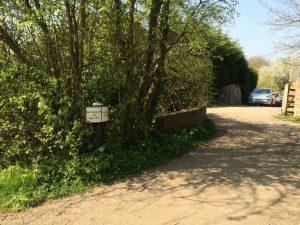 Here is our most northerly milepost disappearing slowly into the road-side hedge in April 2015.